Thru New Mexico and Colorado. Now it's Monday.. and ive taken a minute amount of adderall hopefully to spark my creativeness..i don't seem to have the motivation unless i know that i'm connected to the internet before I can write.. that doesn't make much sense.. I have to overcome this need and just write as much as possible whether I have the net or not! 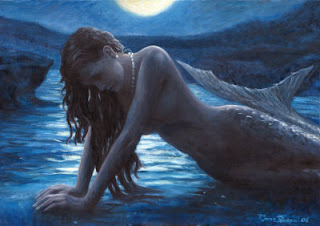 when we were at the taos and silverton hostels, i told the campfire stories of my creative non fiction account of the mermaids.. my better half admired this part of me that she never realized that I had..
story telling is an art that can be inherited... I told the story to Buffy's newly adopted family (in the last 2 years) and it was a great success as it was on our walkabout to higher altitudes in the mountains... I wonder about letting out too much info about the story for fear that someone else will write the story first..
i like the way this new/used puter works as far as the typing but the battery lasts for less than an hour.. and my other computer had a battery that lasted for hours.. oh well..my wife and child are enjoying themselves this hot avo in the wonderfully large and long pool in a nice little condo with a jacuzzi...we have to count our blessings and always look at the positives in life!